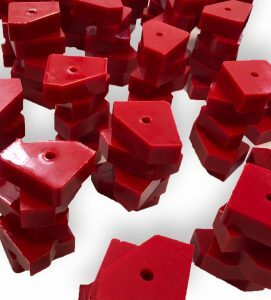 Urethane Rubber Blocks are one of the several high precision urethane products that are manufactured in the fully equipped state of the art in-house machine shop at Plan Tech. Like all of our other urethane products, we only utilize raw materials that represent the best quality polyurethane and specialty additives available on the market. Our consistent application of speed and precision make it possible for us to always manufacture world-class urethane rubber blocks with volumes large enough to meet the quantitative demands of our numerous and highly esteemed customers within the shortest possible turnaround. Plan Tech’s urethane rubber blocks offer top-notch physical properties to those of most other brands you will find in the industry. They are capable of excellently resisting abrasion, wear, stubborn chemicals, and corrosion, etc. Also, no other brand in the industry can boast of urethane rubber blocks that offer better durability and outstanding performance ability. We have them available in different shapes, hardness, and sizes. However, our team of technical experts are more than capable to mold or cast the urethane into rubber blocks of any dimension according to your exact requirements. As far as resisting abrasion and corrosion are concerned, no other elastomer material perform better than polyurethanes. This is one aspect where their performance is more efficient than plastics and most metals. Are you interested in cast urethane rubber blocks? Please Contact us so we can help solve your requirements and work with you on your specific application!